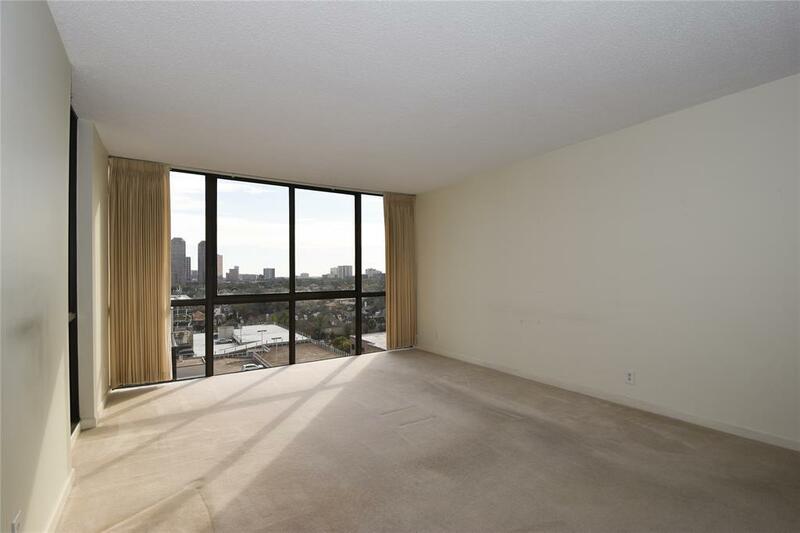 Lovely 12th floor flat with beautiful Galleria views from almost all rooms, only enhanced by the oversized windows! !Spacious balcony to enjoy your morning coffee and evening cocktail! Freshly cleaned and touched up.. (1/19).Generous room sizes and lots of storage. Split bedroom floorplan. 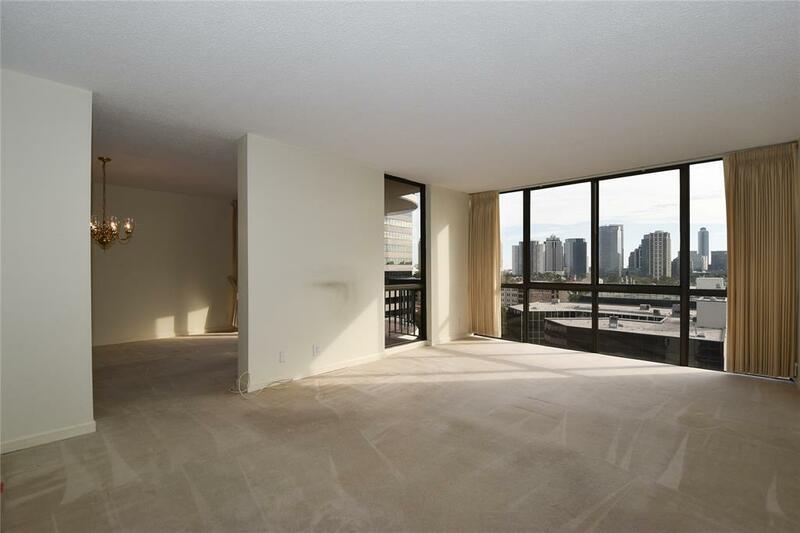 Master bedroom with large walk in closet.This unit has wonderful natural light. Washer, dryer, and refrigerator remain. 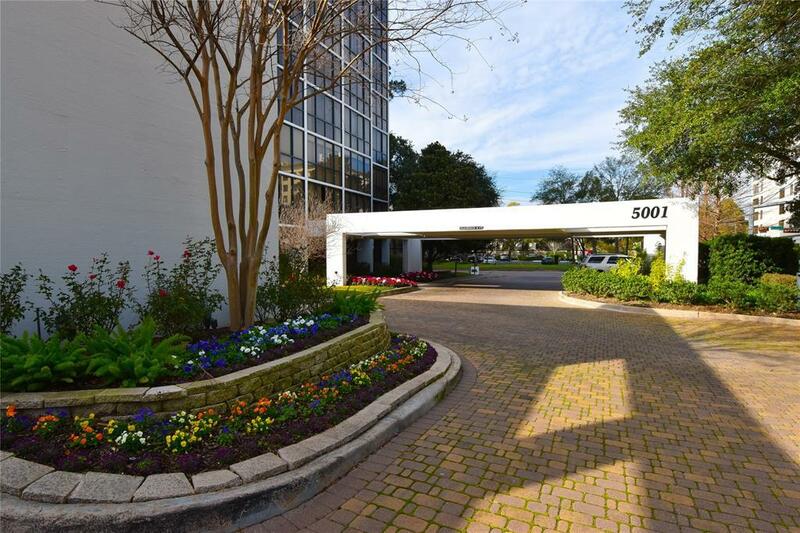 The complex is nicely landscaped with a lovely pool area. Two car assigned parking spots. 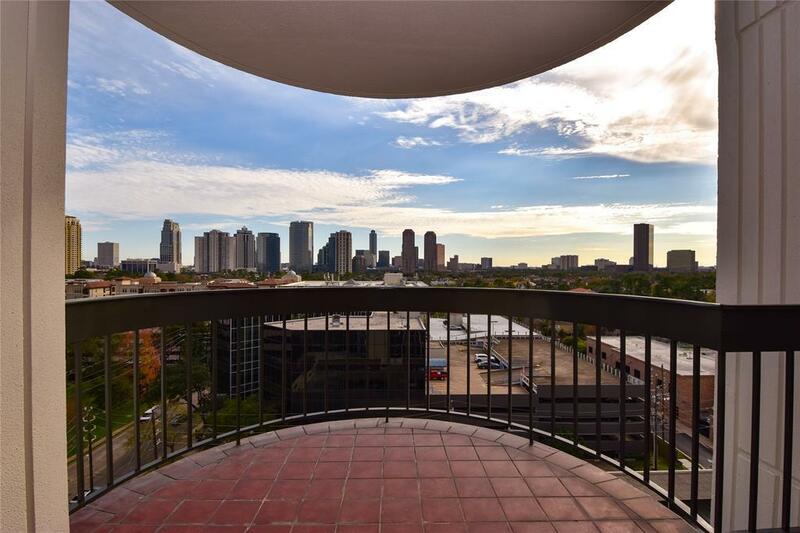 A premier location with easy access to Uptown, Memorial Park, Galleria, Loop 610 and all kinds of restaurants and shopping. Original one owner unit. 24 hour conceirge. This is a great opportunity.